"Isn’t this design rather pleasing on the eye? 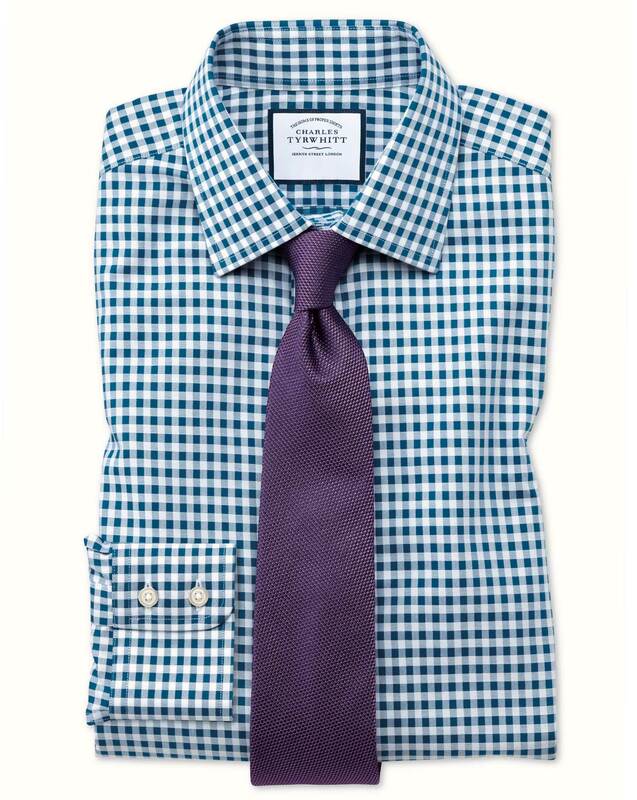 Gingham is a handsome, classic, wearable pattern, which makes it an excellent choice for one of our mid-weight shirts. Slipped under a suit along with a fetching tie, your office getup will look equally eye-pleasing." "Wash, hang, wear - that's all you need to remember with this shirt. No iron in sight." I'm 6ft 3 and fairly slim for my height (90kg). The extra slim fit is a good fit, however the length of the shirt is very long. The quality of the cloth and the shirt's finish is good. But before wearing it for the first time, after the maiden wash, it was realised that there was a hole in the shirt adjacent to one of the lower buttons. This is the first time such incident happened to me, during the 3+ year association with CT Shirts. Response from Charles Tyrwhitt: Oh dear, this isn't good at all and certainly not a sign of our usual fantastic quality. I appreciate you letting us know, however, and I have already arranged for a replacement shirt to be sent out to you. Please refer to the Freepost address provided along with it when returning your damaged shirt to us. Thank you for your understanding here. Its a nice shirt with smooth feel.